The abolition of slavery was the catalyst for the arrival of the first Indian indentured labourers into the sugar colonies of Mauritius (1834), Guyana (1838) and Trinidad (1845), followed some years later by South Africa (1860) and Fiji (1879). The system of indenture was abolished in the British Empire between 1917 and 1920 but had moved roughly two million Indians around the pink parts of the globe, most of whom never returned to India, through both design and coercion. Today, an Indian indentured-labour diaspora makes up the populations of many Commonwealth countries, including in Africa, Belize, Suriname, Guyana, the Caribbean and the Pacific and Indian oceans. Voices telling of the effects of the dislocation of indentured lives have been slower to emerge than the voices of the descendants of Africans who suffered the scourge of slavery through the triangular trade, especially Caribbean female voices, but that has been changing, with a slow and steady increase in the publishing of powerful new writing by young authors of prose and poetry. The brazenly titled Coolie Woman: The Odyssey of Indenture burst onto the unsuspecting world in 2013, with its Guyanese author Guaitra Bahadur telling, through the history of her own great grandmother, the generally unknown personal stories of the women who came husbandless and vulnerable and used all their wit and female assets to survive. 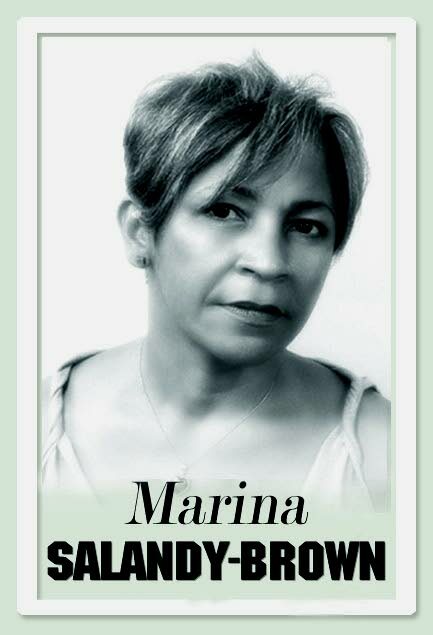 The author was featured at the 2014 NGC Bocas Lit Fest, TT’s annual literary festival. In 2019, another brave new book, this time about the lives of three generations of female descendants of those indentured women, Secrets We Kept: Three Women of Trinidad, will bring its Trinidadian author Krystal Sital to the festival. To mark the end of the system of indenture, a new collection of writing, We Mark Their Memory, published by Peekash Press (an imprint of the Bocas Lit Fest) in collaboration with the Commonwealth Foundation’s literary arm, Commonwealth Writers, will be launched at the 2019 festival (May 1-5). The book brings together, for the first time, writers from across the Commonwealth who explore, in poetry and prose, their indentured heritage, and includes TT writers – Kevin Jared Hosein, Gabrielle Hosein, Stella Chong Sing, Fawzia Kane, Jennifer Rahim, Patti-Anne Ali, Suzanne Bhagan and Lelawatee Mannoo-Rahming. The anthology is aptly edited by David Dabydeen, the Guyanese writer, academic, critic, diplomat and former winner of the Commonwealth Poetry Prize. He is an exciting teller of post-colonial stories of great range, which have dealt with both African and Indian experiences of exploitation, with indenture and slavery, locating his characters in surprising places, such as in a novel, A Harlot’s Progress, based on William Hogarth’s raunchy 18th century paintings, or in his poetry influenced by a painting by the master Victorian English watercolorist William Turner. Twenty-five years ago, the intrepid Margaret Busby had another one of her brilliant ideas. Already famous for having been the youngest publisher in the UK and the first black woman (of Caribbean and Ghanaian heritage) whose vision and work revived the work of greats such as CLR James and found a readership for many more, she decided to collate the writing of over 200 women of African descent living all over the world for a landmark anthology, Daughters of Africa. It received international acclaim as an important “document of lost history” and starred the likes of Toni Morrison, who was still to win her Nobel Prize, and others who lacked opportunities to show their talent but would become literary stars. Now, in 2019, Busby has returned with New Daughters of Africa to showcase a younger generation of writers, some of whom the literary establishment has yet to recognize adequately, but it also includes superstars like Edwidge Danticat of Haiti, Nigerian, Chimamanda Ngozi Adichie, Zadie Smith (UK) and recently deceased Andrea Levy (UK). None of the 200-plus contributors appeared in the 1994 edition. Caribbean writers are well represented by the likes of Karen Lord, Claudia Rankine, Lisa Allen Agostini, Malorie Blackman, Nalo Hopkinson, and others, some of whom will join Busby at this year’s festival. Reply to "Of Africa and of India"